The StarTech.com 10 ft. USB Cable is a high quality fully rated USB cable with the A-B Male to Male type connection. 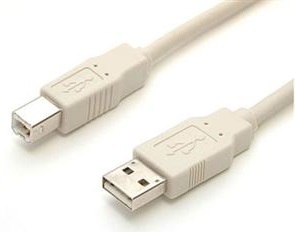 Typical applications for this cable are to connect from a PC or Mac to a USB peripheral like a printer, scanner, USB hub, etc. This cable is fully molded and manufactured to the USB V1.1 specifications.